The question is how to genuinely connect? For the person of the world, stillness does not come naturally. The world is full of exciting, interesting things to explore and do, as well as the necessary obligations and duties. The body naturally moves, naturally engages, naturally functions, without virtually any separation between intention, desire and action. For the ill person, paralysed just by sitting too long, or worse, harmed and tormented by noise, movement, activity in and around her, the gap between desire and action is impossibly wide and unbreachable. But stillness of body comes easily, for it simply happens if its own accord. For the person whose mind is blanked of thought, prayerful stillness is not difficult to achieve. 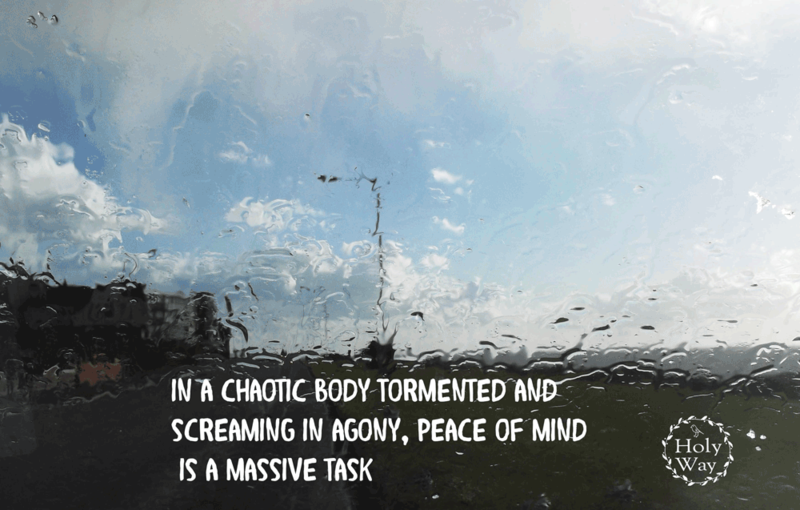 But in a chaotic body tormented and screaming in agony, peace of mind is a massive task. How then can someone of the world and someone harmed by all worldly activity big and small ever truly meet? By love alone and a genuine desire to overcome everything that gets in the way of being together. This is no small task. It requires kindness, awareness, compassion, comprehension. It requires trust and faith. It requires An acceptance and desire for silence and stillness, peace pervading all ultimately and embracing the unembraceable in both, the urge for business in one, the agony of torment and longing to escape it, in the other. And miraculously despite the invisible variance in lives, a moment of absolute stillness, a moment of perfect being, we find, comes to greet us and bless us and lift us together into the Heart of Love, where all mercy is both given and received. When we first got married it seemed there was no end to what we could dream. But devastating, crippling, never- ending sickness and profound disability came and never went away. Now our dreams are necessarily limited. Not many could cope. We have not only had to take on living within and through constant suffering, we have had to deal with the lack of resolution . Other people get sick and get better, there is an end to it. Here, after 21 years, there is no end remotely in sight, in fact it gets worse by the day. To take on a journey like this, three things are necessary : the ability to embrace uncertainty, the courage to hold on, the desire to grow – in other words, Faith, Hope and Love. When you enter, with open heart into the life of someone , fragile, vulnerable, physically ill and incapacitated, it is very important that you see things clearly and that you still maintain some sense of self, so that your whole world does not become consumed by the illness. Beware of taking on more than you should, of identifying with the person more than is healthy, of over identifying with the ill person’s experience and somehow making it your own, this will not help either of you. To take on what is right and just and not to take on that which you should not, turn your eyes to God and always ask for His help. His gifts of the Spirit are powerful. There is great need for wisdom, discernment, truth, there is great need for love, compassion, mercy. 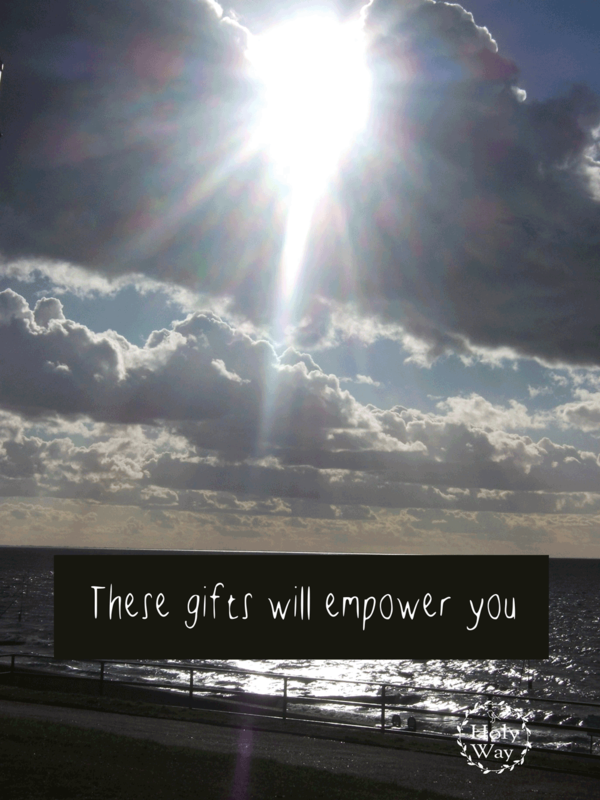 These gifts will empower you, will heal you, will aid you and remember that these gifts are not just for you to use for others, but also to use for yourself. Always be kind to yourself, always seek for understanding and self awareness. Self awareness, illuminated by God’s light, empowered by God’s Spirit, filled with God’s compassion and mercy, will keep you safe.